LUSH Cosmetics Makes Brushing Fun! 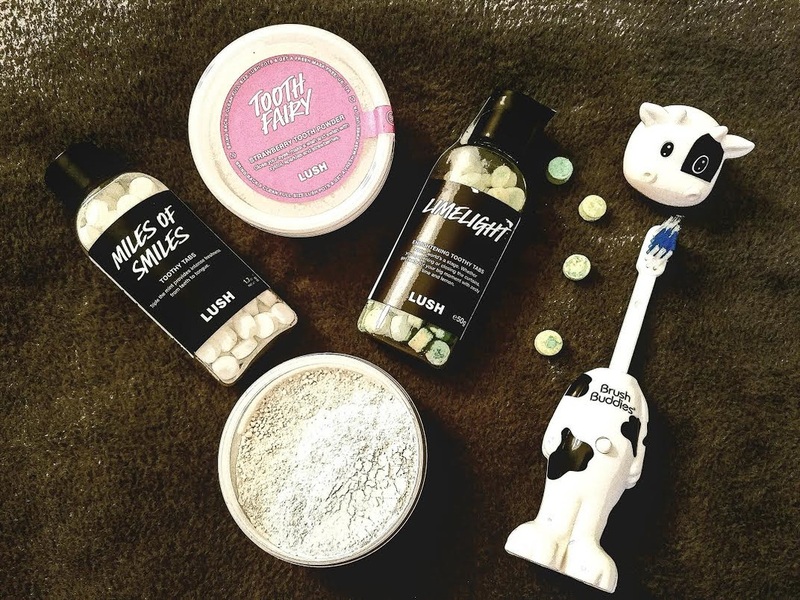 Known for their bath products and unique items, UK brand LUSH Cosmetics has just changed the game with their new "MOUTH" range! The new line makes the mundane task of brushing your teeth fun and bursting with flavor! The two main products in the collection are "Toothy Tabs" and "Tooth Powders" which both use effective ingredients inspired by experimental cuisine creating a range of products for all needs and moods! Toothy Tabs, available in eight unique flavors, are dissolvable tabs that look like smaller, rounder Tums. The directions are to nibble one tab between teeth before brushing the teeth thoroughly. Depending on the flavor chosen each tab has a hint of flavor and fizzles. The product definitely adds a little something extra to your daily clean. Tooth Powders, available in three flavors, are sold in a small tub. To use, simply dip your toothbrush into the powder, and start brushing. The powder is a combination of freshly ground spices and kaolin, a soft clay originally found in China. The blend is meant to create a healthier mouth, and creates a frothy foam during cleaning. Some of the unique ingredients used in both products include: Wasabi, Charcoal, Fine Sea Salt, Powdered Gunpowder Tea, Black Pepper Oil, and more. Each ingredient is meant to freshen breath and create a sparkling smile. Lush also fights against the 900 million traditional toothpaste tubes tossed annually with this recyclable range made with 100% post consumer recycled plastic. Not only is the minimal packaging eco-friendly, but also extremely portable – leaving no excuses to brush after every meal!